Technology is the new fancy stuff in your classroom. Cool apps and tools are the new it words in your lessons. However, it’s not all sunshine and rainbows if you don’t know how to use them. What’s even worse is the lack of inspiration. If you have a fancy app and know how to use it, you might find yourself in need of some examples. As it happens, I’ll give you some in this post. 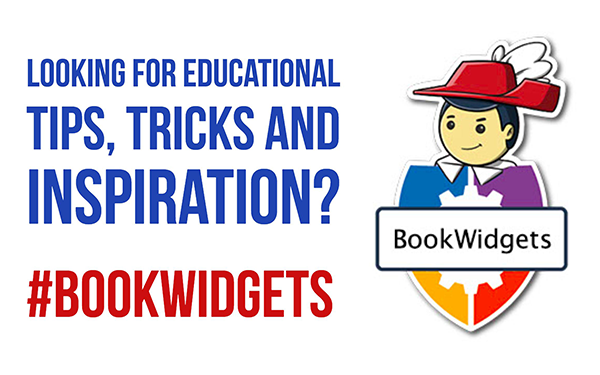 What does BookWidgets have to offer, and how can you use it in your classroom? The definition describes a widget as a “thing”. And that’s exactly how it describes BookWidgets. Things to spice up your eBooks and lessons. However, although it makes sense to me, it might not make sense to you. 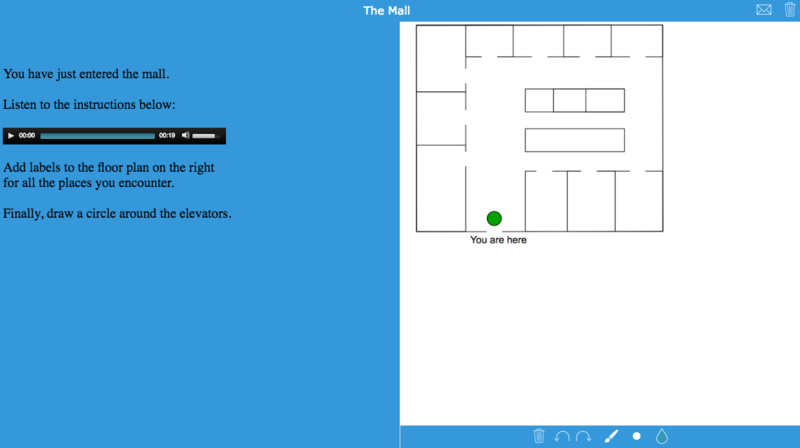 Let me put it another way: A widget is a digital exercise, or a little educational app. So here’s how a widget works: The widgets in BookWidgets are some sort of templates. Follow the guidelines and fill them out with your own questions, images, audio, video and lesson content. And then, your lesson gets magically transformed into a crossword puzzle, a quiz, a hotspot image or something else. You’re basically digitalising lessons. 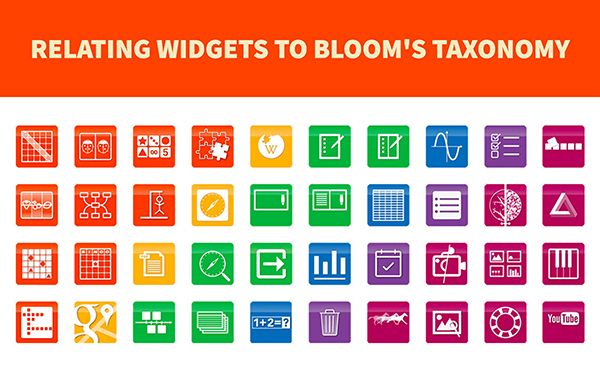 The BookWidgets widget library has over 40 interactive exercises to choose from and is still expanding. One way or the other, you’ll find your favorite widget soon enough. 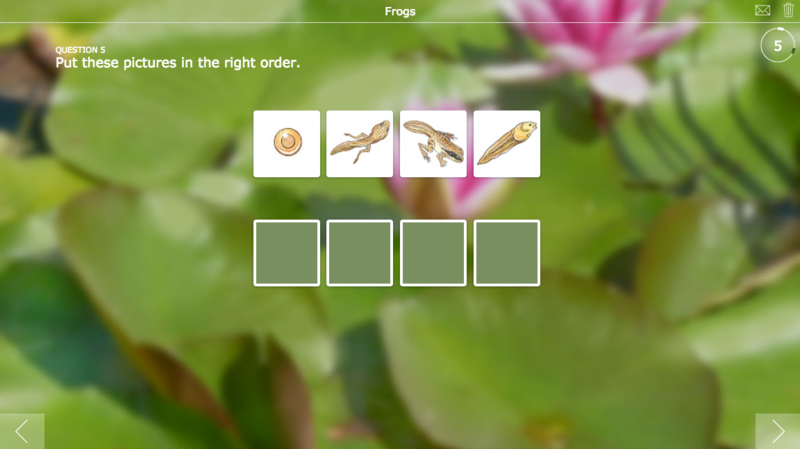 BookWidgets has divided all those interactive activities in 6 different themes. Let’s go through them! I’ll give you some extra inspiration as well. These widgets or exercises are perfect in your lessons if you want to review students' knowledge and if you want to retrieve it. These are evaluation widgets. Ask your students two questions about today’s class. An exit slip helps you to get information about your students' understanding about that lesson. For examples of the exit slip widgets and questions you could use in it, you can take a look at this blog post or click on the image below. I think you all know that flashcards help students practice retrieval and to memorize knowledge like translations, definitions and many other things. Drilling is worth it. That’s what I learned from Daniel T. Willingham (Read why in this blog post). This means flashcards can come in handy. 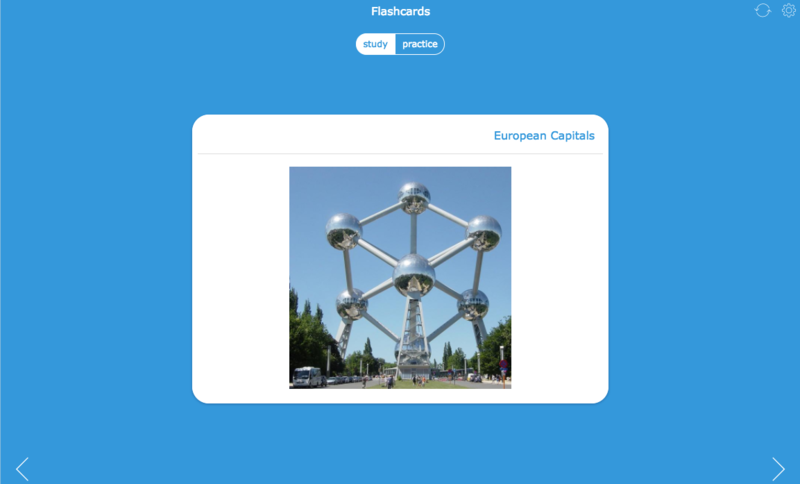 So what can you learn with flashcards? learn how to react in certain situations, which procedure to follow. In need of some examples? Take a look at this post! The Quiz widget isn’t just another multiple choice quiz. No, this quiz has 26 question types you can choose from. This means you can build a fun quiz with a lot of active and visual questions in it. The widget allows you to add images, audio and video as well as a long rich text answer. Here’s an example of a quiz using the many different question types. You can imagine what you can do with that, I guess. Click on the image to take a look. There’s something else that will blow your mind. 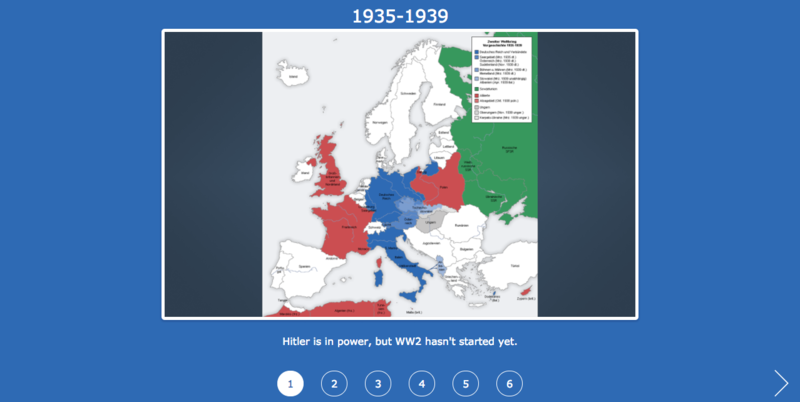 This quiz widget allows students to submit their answers. Shortly after they did that, the tests get automatically graded. You only have to check the answers, give feedback and return the results to the students. Add an image, a question or both. 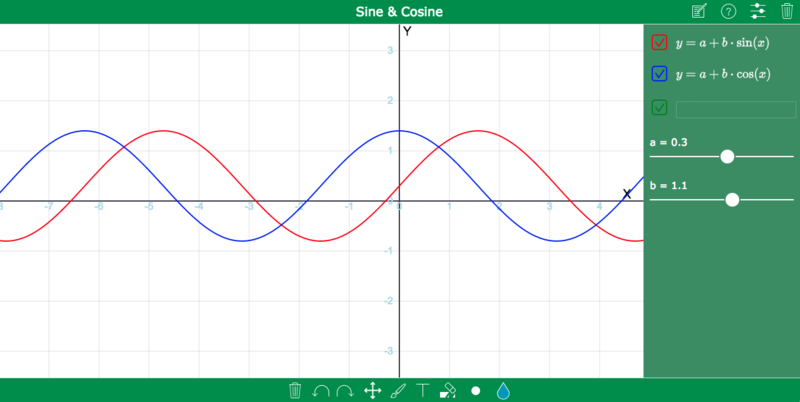 Your students can now point out things, make calculations, mark words, draw examples and so on. 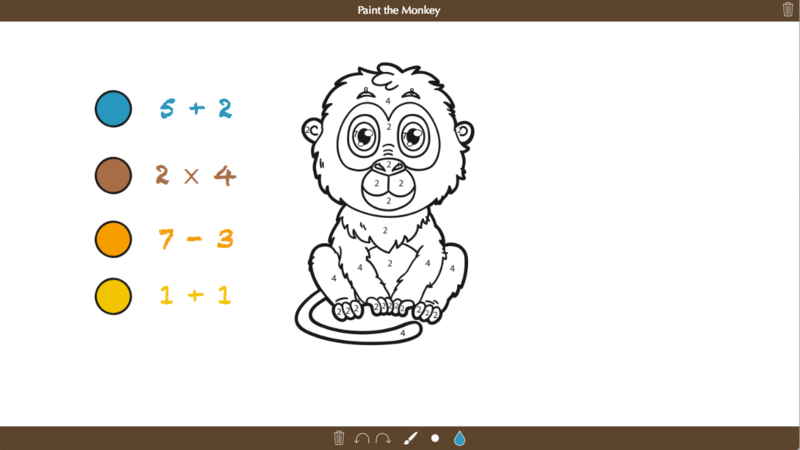 Students can use the whiteboard to draw, highlight, write, and add lines. For more tips and inspiration, you should definitely check out this blog post. The split whiteboard widget has all the options of a normal whiteboard. The only difference is the possibility to add a text, image, video and audio on the left side so students can use the whiteboard on the right side to write down thoughts, ideas and draw associations. An example? Here you go! Remember the quiz? Well, the worksheet widget is kind of the same, but not still a bit different. 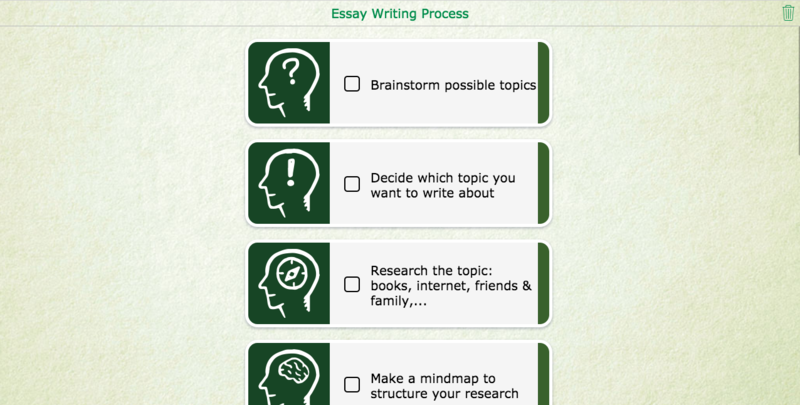 Except for the same 26 available question types and the automatically grading option like in the quiz widget, here, the questions are put directly beneath each other instead on the next “page”. Which makes it more of a worksheet than a quiz. If you need to ask your students just one question, the worksheet widget is better suited than the quiz widget. The split worksheet works a little bit like the split whiteboard. You can insert a text, audio, video or an image on one side and ask your students questions about it on the other side. This widget is mostly used by teachers to create reading comprehensions and tests students' understanding of a text. Of course, it’s not all about reading. Here are some other ideas. ask questions about a video fragment. Fixed timeline: this is a static timeline just for viewing. 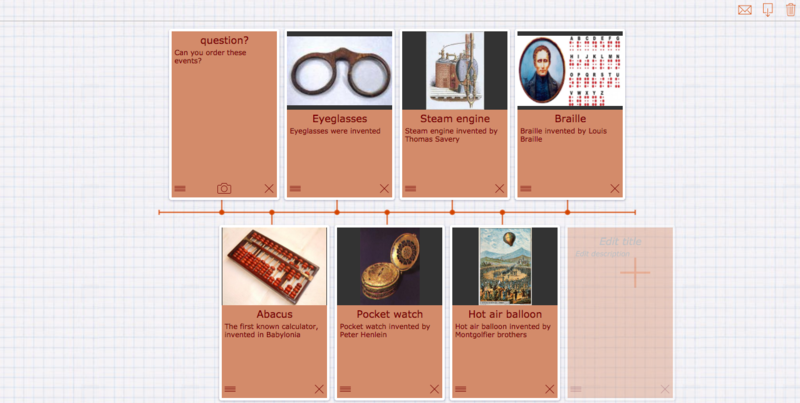 Editable timeline: allows students to add events to the timeline and change the order of the events. Editable timelines are very useful in the classroom. The teacher can start by adding a couple of events and students can complete the timeline. Take a look at this example below. to explain the different steps in a process, for instance, the steps in a story structure. Want to see some concrete examples of these lesson ideas? Here’s our EdTech school video about timelines. A WebQuest is an inquiry-oriented online tool for learning. It’s a lesson in which most of the information that students explore comes from the internet. Students go on an online quest and explore and analyze new information that is given via the world wide web. The Webquest widget of BookWidgets allows you to add internet resources, but also include other widgets like quizzes and games. 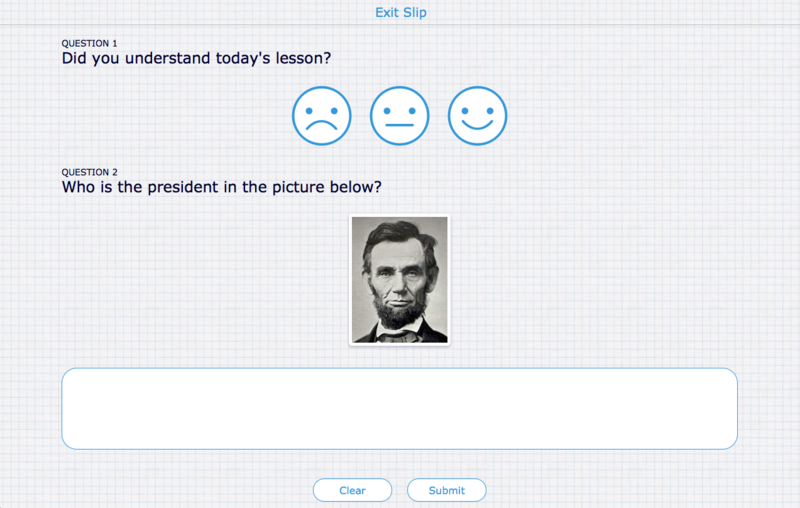 A WebQuest is, unlike traditional learning methods, more interactive. You’re telling a story with a problem. Your students have to solve it by working together, which is very motivating. Using this process encourages students to think critically. Here’s a challenging example. Can you find the gold? As you can see, the possibilities of a webquest only reach as far as your imagination. 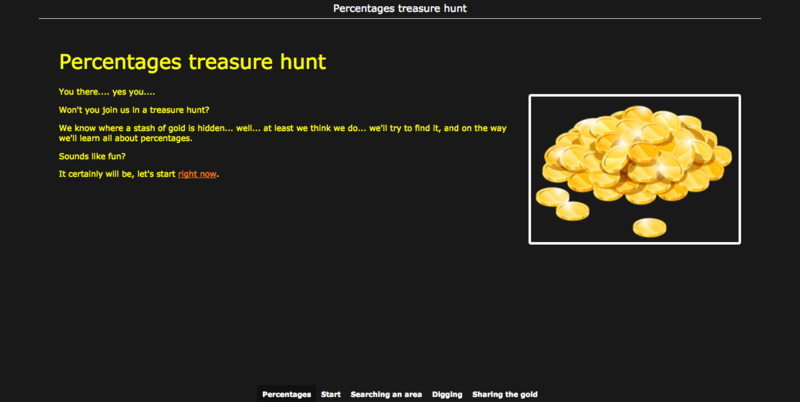 Make a fun treasure hunt. Let your students solve a problem. use a webquest for microlearning and divide your lessons in little chunks. 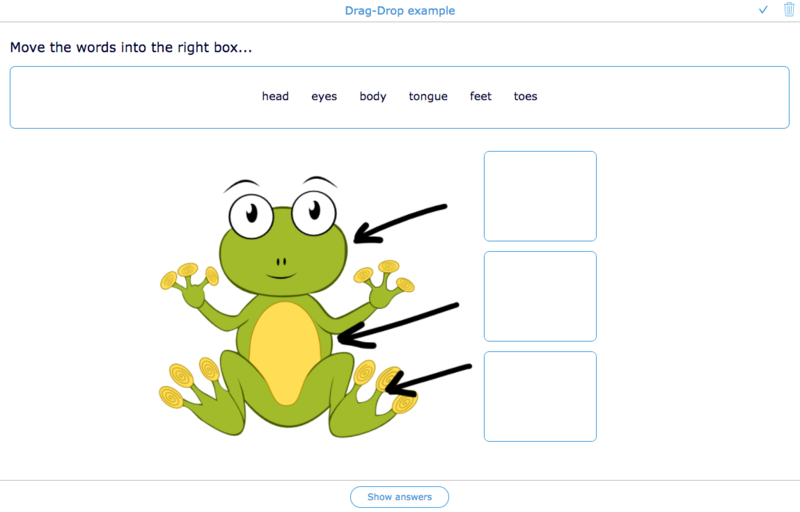 Use a webquest for flipped learning by adding good explainer videos. Summarize a lesson in one widget. Want to know more about the different parts in a webquest? Click here. The fun factor of you lesson is definitely a game widget. Fun and learning can go hand in hand. Add words or images to a bingo card and speak out translations, show images and more. Students have to match the teachers' words or images with a match on their bingo sheet. When students have 5 hits in a row, they have to yell BINGO! Take a look at this blog post for more examples. Definition bingo: read out the definition of a word, and let the student find the word on the card. Picture vocabulary bingo: use cards with pictures of the (translated) words you’re calling out. Rhyme Bingo: call out rhyme words of the words on the bingo card. Decimal Bingo: put decimals on the card, and either call out the numbers literally, or as fractions. 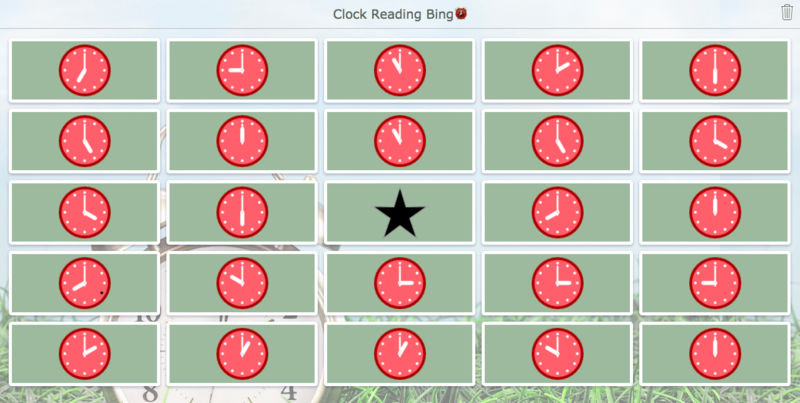 Clock reading bingo: Fill squares with pictures of clocks with hands in different positions, and read out the time. Headshot bingo: put photos and/or names of all the students in the class on the card, and optionally complete the list with staff members, teachers, the principal,… Call out people by name, or give clues about the person you’re describing. Click here for more bingo ideas. A crossword puzzle is usually used for translations and definitions, but you can do so much more with it. Science: Learning the elements of the periodic table isn’t easy. It definitely is much more fun when you put the symbols and their names in a crossword puzzle. Geography: Geography also has its fair share of names to remember: countries, cities, continents, mountain regions, rivers,… The fun solution: crossword puzzle! 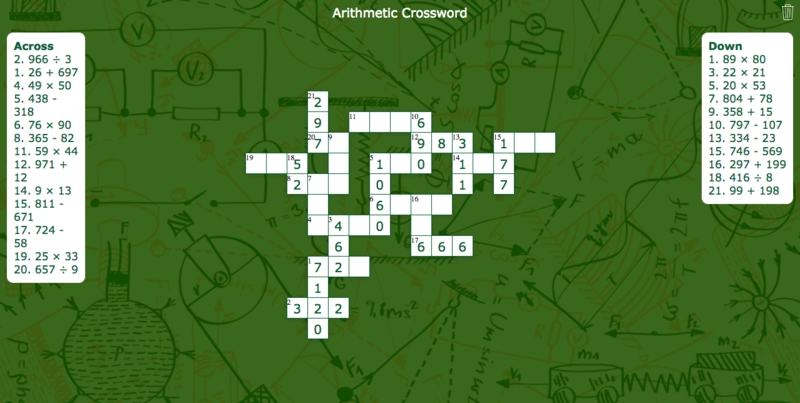 Math: you could create a list of arithmetic problems of a certain level, and let your students fill in the solution in a crossword puzzle. Click here for more challenging crossword examples, crosswords for kids and as ice breakers. In the classic hangman game, the teacher provides a list of words and a tip or theme. Student guess letters, in order to find the right word. to introduce yourself as a teacher. What are your hobbies/ favourite food? Let the students guess. A classic jigsaw puzzle with a digital touch. Choose any image you want and let your students put the pieces together. You can make the puzzle more challenging, giving your students more pieces. 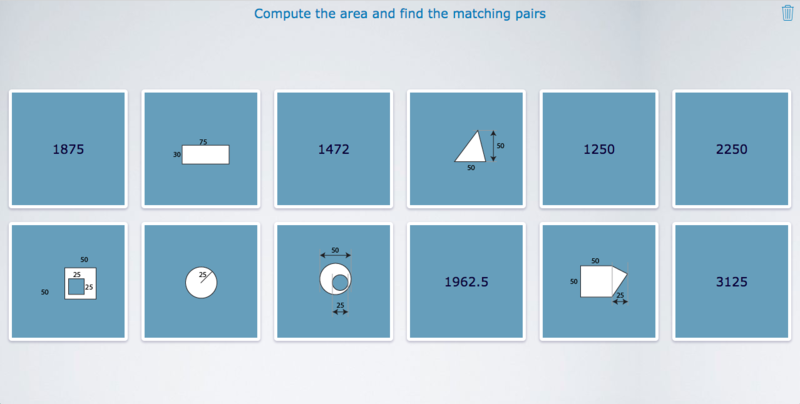 So, besides the fact that students have to look very well to match the right pieces, what can you do with the jigsaw puzzle widget that has a link with learning? Well, let me show you. Here are just a few examples. Feel free to look for more examples yourself! 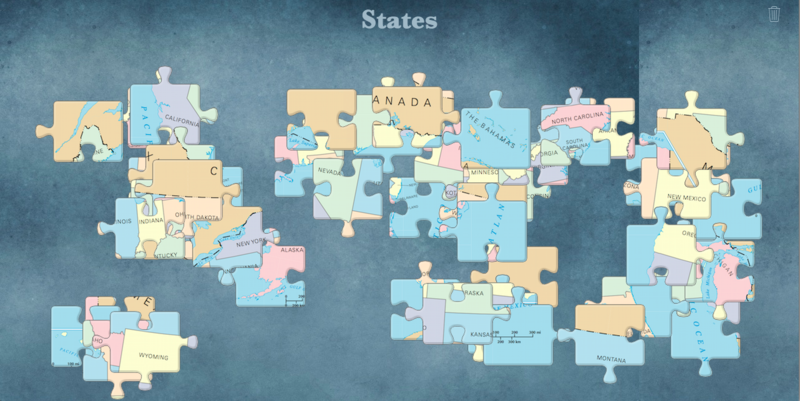 Let your students solve geographical puzzles about a continent, a country, the world. This way they know where everything belongs in the world. Let your students solve a puzzle about an image, showing a special environment or historical figure. In geography class or history class, they have to tell everything they know about the place or person on the image. Let students solve a jigsaw puzzle about an image. For example, an image of the bedroom. Students have to translate everything they see on the image to a foreign language. This way they learn the vocabulary. This classic pair matching game trains the memory, but can also be used to make associations. Cards can have words, images or math expressions on them. When one student finds an identical pair, they tell the other student what’s it about. Students switch turns. When one student finds an identical pair, they tell the other student the translation. Students switch turns. Let students make associations. Match images with words, use synonyms and opposites, translations, arithmetics and their solution, statues with countries, etc. This widgets looks a lot like the memory game widgets. There’s only one difference: students don’t have to remember the places of every card anymore. With the PairMatching exercise, the focus lies in finding the right pairs rather than remembering the places of those pairs. 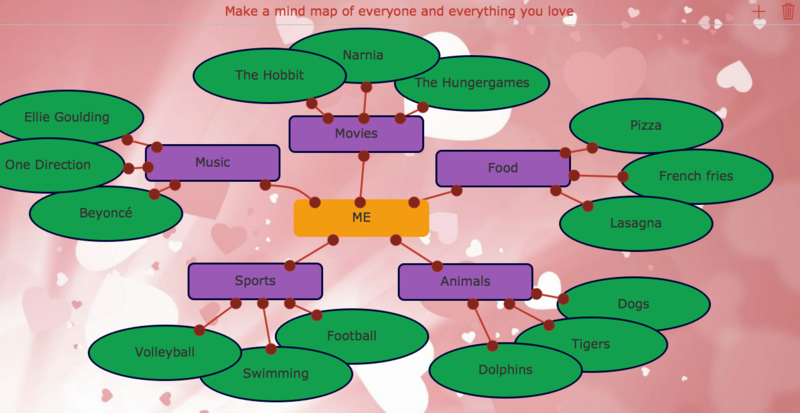 Draw a mind map with the mindmap widget. Just add balloons with text and give colours to structure them. Add images, numbers, words or emoticons to wheels. Spin the wheels, and see what comes up. This widget is mostly used to pick a student to answer a question. Insert all your students' names in one wheel and spin it. Which student gets picked next? Use 3 wheels and fill them with images. Let your students come up with a story. The three images must be a part of the story. This can be a speaking exercise as well as a writing exercise. Let students built a correct sentence with words given by the randomness widget. For example: You - To speak - Future perfect. Do experiments around probabilities. Roll the dice or flip coins. Get to know each other. Add headshot pictures of your students in one wheel and a topic, like “hobbies”, about which they have to talk about in the other wheel. Add numbers to the wheels. Spin the wheel and let students multiply, divide, subtract or add the numbers. You can even control wheels by adding interdependent groups. Add two almost identical images and let students find the difference. Besides the fact that students have to look carefully, you can also use this widget for more educational purposes. You can for example add hotspots explaining the differences. Let me show you in the example below. 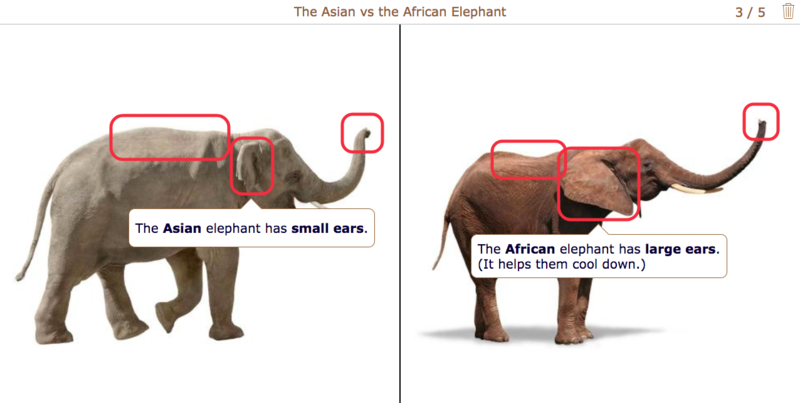 Here, students have to find the differences between an Asian elephant and an African elephant. 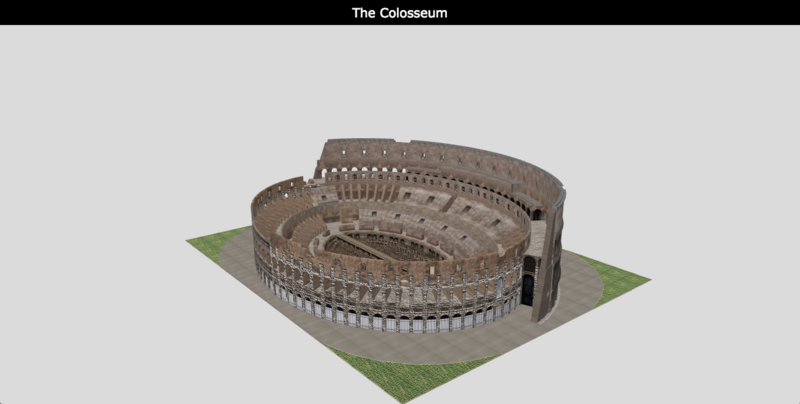 You can for example also put together two images about ancient building styles and ask students to explain the differences. And what about the differences between plants, animals, vegetations, regions, ancient cultures, empires, warriors, gods, you name it. Let students look for the hidden horizontal, vertical or diagonal words. In most cases, a teacher uses this widget for translations. A student goes looking for the translation of a given word. But, like you already know, also with this widget, there are more possibilities. Most science subjects come with a lot of terminology to learn. Word search puzzles are perfect for the job of introducing scientific words in an interactive way. How about geography? Names of continents, countries, cities, rivers, mountains, … Give the capital of a country and let students search for the right country in the wordsearch. Word search puzzles can also help with kids' first steps in math: learning the numbers and how to write them. Check out this post for more examples. Math can be interactive as well. 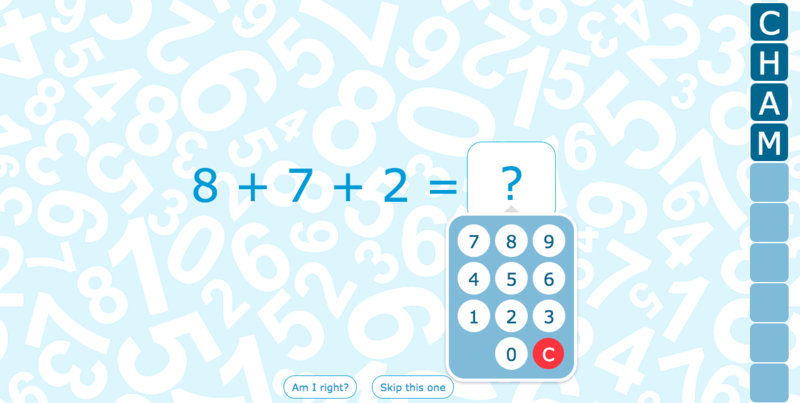 Take a look at these fun widgets and be prepared: from now on, students will love math! Change the equation and watch the plot update. This widget lets students change the parameters while updating the plot. This way, students can see what really happens when changing the parameters. They get a visual understanding of math. You can take things even further: you can let students enter their own functions, or use drawing tools to draw on the plot (e.g. to indicate tangents). 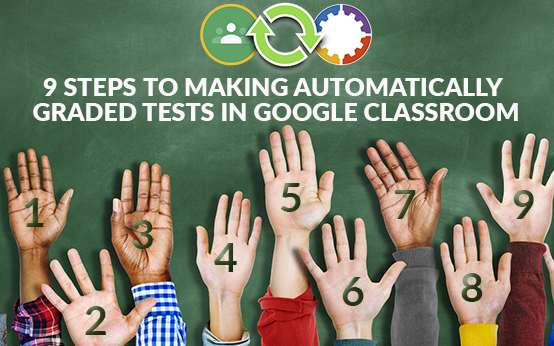 When they’re done, they can submit their answer to you, and you can grade them from within your dashboard. Not feeling very inventive to come up with basic arithmetic operations? Then you should definitely use the arithmetic widget. 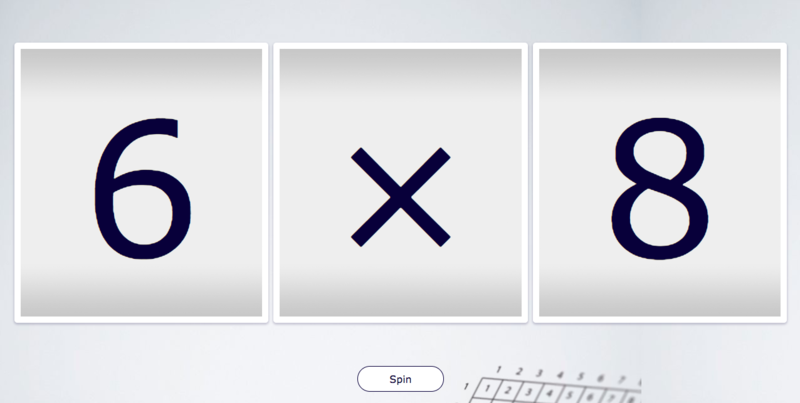 The Arithmetic Widget lets your students solve simple arithmetic problems, adapted to their level: as a teacher, you choose the kind of arithmetic exercises you want your students to do (additions, subtractions, multiplications, divisions, …), you choose the complexity (how many numbers should be added, how large can the numbers be, …); your students then get an interactive widget that lets them solve problems, and win reward letters for each correct answer. The Chart widget lets you define a two-dimensional table and if you want, you can seed it with numerical data. 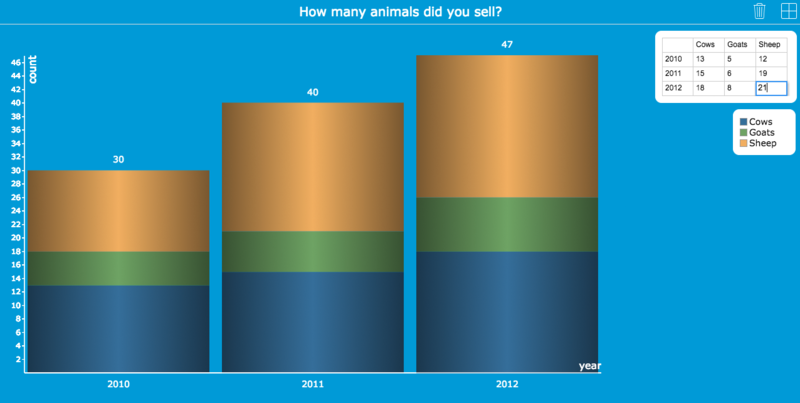 Your students will be able to fill in or change the numbers as well, and see the bar chart update immediately. A great resource to keep track of lab experiments or survey results or … you name it! Use it in math classes, science classes, economics classes. Every class that involves numbers. Charts make it easier for students to visualize the learning material. It helps them understand better. You could compare this widget to a classic Excel Spreadsheet. 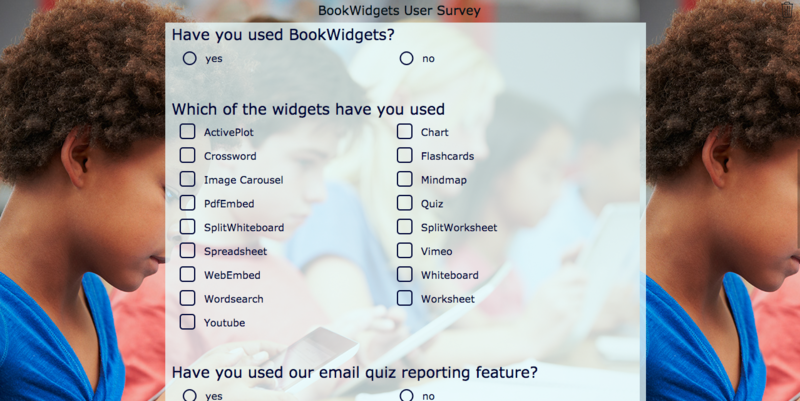 BookWidgets has spreadsheets in two flavors: as a stand-alone widget (this one), or as a new question type for the Quiz and Worksheet widgets. 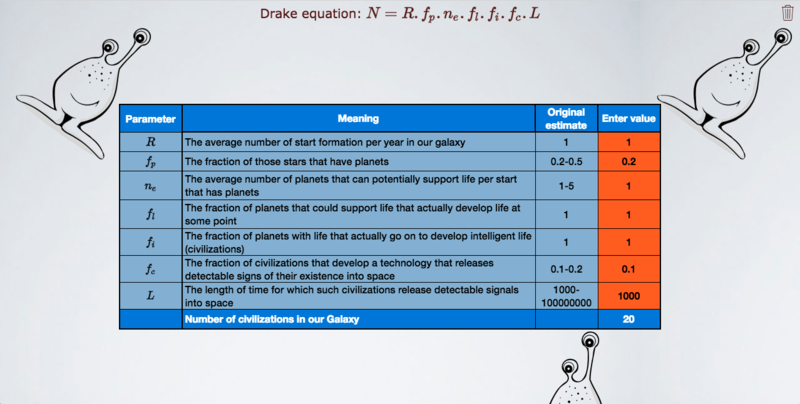 So, did you know about the Drake equation? Nope, me neither. But it makes a fun spreadsheet example. Visual learning. It’s proven that students learn easier when combining text and images. 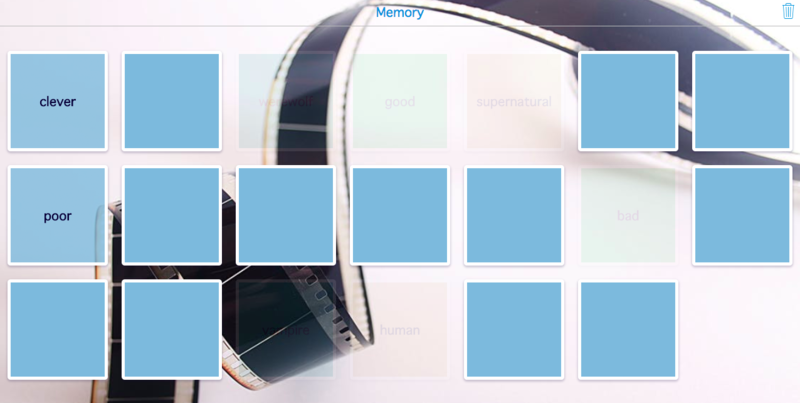 Let’s see how you can visualize learning material with the following widgets. The concept is easy: compare two pictures. Two images are overlaid on top of each other, and students can use a slider to control which part of each image is shown. The slider can be placed horizontally, vertically or it can also be configured to blend one image into the other. Show a series of related images on a timeline. This one is mostly used in history classes, but it can be used in other classes as well. Let me show you. But first, an example! to visualize a process. Any process! And there are many… Each course, probably has a process, students have to learn. to tell or summarize learning content with images. to let students summarize the learning content, by explaining the series of related images. Present a single image with hotspots on it. Hotspots can contain text, images, video or a combination thereof. Even small webpages can be in a popup. Put hotspots on infographics that explain the meaning of the figures in detail. Use your imagination or read this blog post! 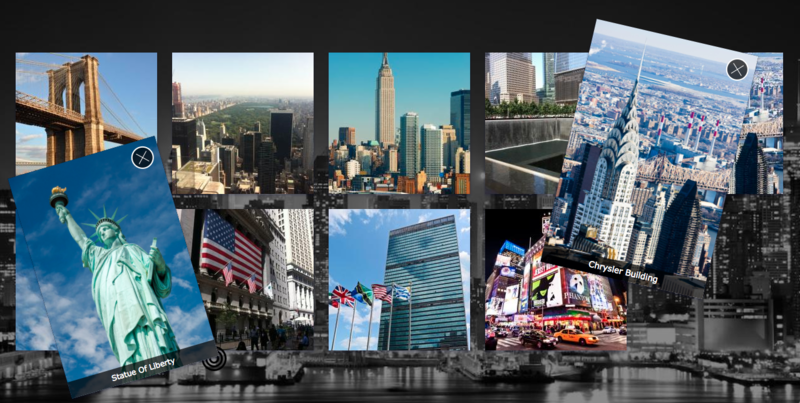 Create your own image slideshow on steroids. Images can be made clickable on certain spots. Then you can either open another image, with a detail for instance, or map it to the location on Google Maps. Take a look at this fun example. Don’t forget to click on the Google Maps globe in the lower right corner to see where you can find these monuments. This looks a lot like the hotspot image, but there are some differences. It’s not about a single picture with hot spots, but about multiple images. You can add a short description and you can look up on Google maps where “monument' on the picture is from. It’s mostly used in geography, history and art classes. But with a little bit of imagination, you could easily use it for other courses as well. You don’t have to use the Google Maps option after all. A lot going on in one picture? Then you should use the image viewer. 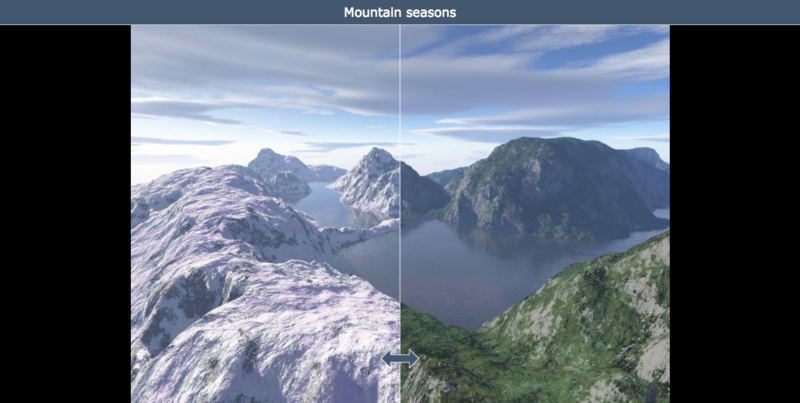 This widget is great if you want your students to explore a large, high resolution image. It allows them to pan around and zoom into specific areas. 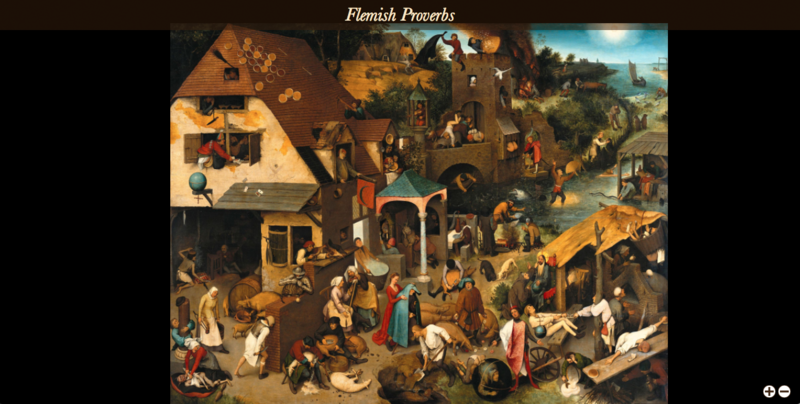 In this example below you see a painting about the Flemish Proverbs. Here, students have to look for those proverbs by interpreting the characters in the painting. It’s easier for the students to discover the image when they can zoom and pan around. Teach kids how to play the piano and read notes. With the Piano widget, you can transcribe simple pieces of music by entering the notes and measures of a song, adding lyrics, and choosing pieces of background music for playing along. 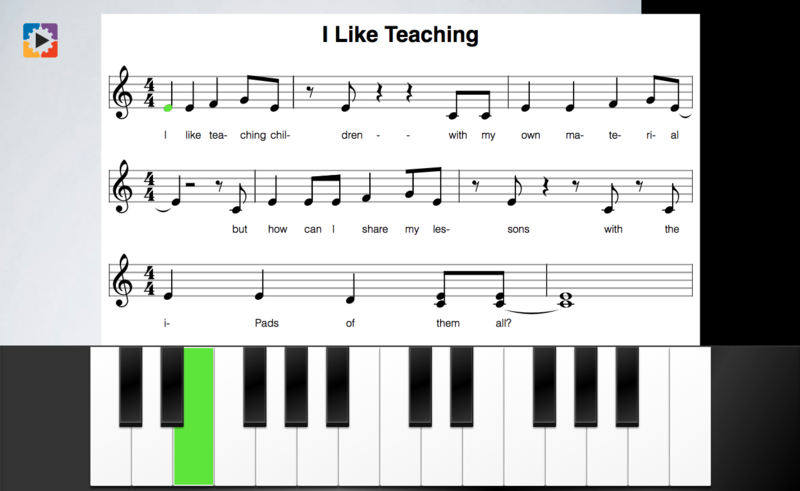 When you then open the widget, you get the sheet music presented, together with a piano keyboard where you play the song. As an aid, the note to be played is highlighted both on the sheet and on the piano. Guide speaking exercises by presenting students one or more random images to discuss. 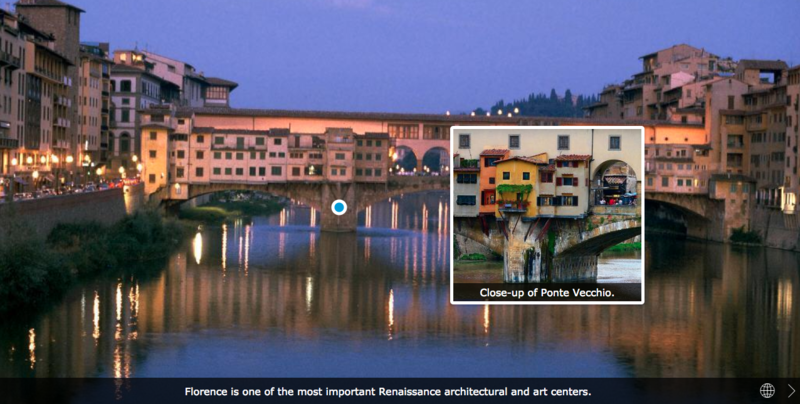 Images can be embedded in the widget, or loaded dynamically from online services like Picasa. 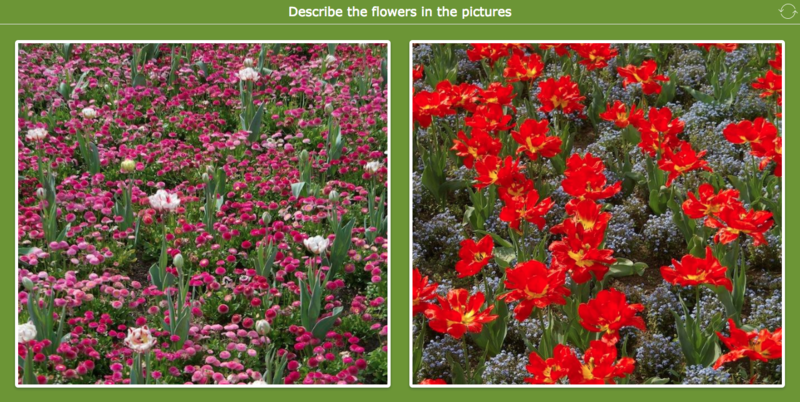 In this example, students have to describe the flowers in the pictures. It could be an exercise for biology, or a more specific gardener class. It could be just an exercise to practise student’s vocabulary on flowers or colours. This is a great speaking exercise, when you’re doing an oral exam. Let students describe two characters, two rooms in a house, the differences between the two pictures, … You can let one student describe one picture to the other student and the other way around. This widget is a 3D file viewer that supports multiple file formats, so you can easily find or purchase models online. Take a look at this list below to find some good 3D models. The STL format is commonly used by 3D printers and can easily be created using SketchUp for instance (pro tip: this makes a fun student project!). Here’s an example showing an STL model of a wheel. Science teachers, listen up! The Protein Data Bank has a huge collection of free 3D models of biological and chemical structures. 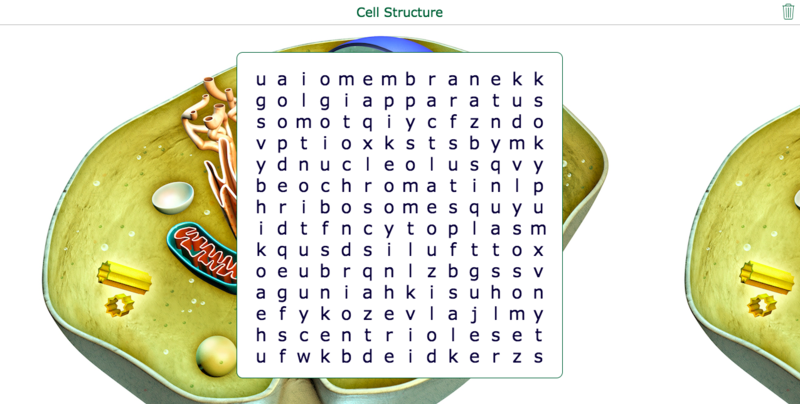 Our 3D widget supports this PDB format. For instance, here’s what plain salt (NaCl) looks like up close. Picture tiles with descriptions, audio and video. Show your students different pictures, add audio, video or a small description. Liven up learning content by adding video elements. Stream HD Vimeo movies from the Internet without leaving your iBook. This one is more suited when you’re making interactive books. Just like with the Vimeo Player, this YouTube widget is more suited when you’re using ebooks to present learning content. I’m sure it will make your books more vibrant and alive. Embedding other widgets in your eBooks or WebQuest? There are a few possibilities. 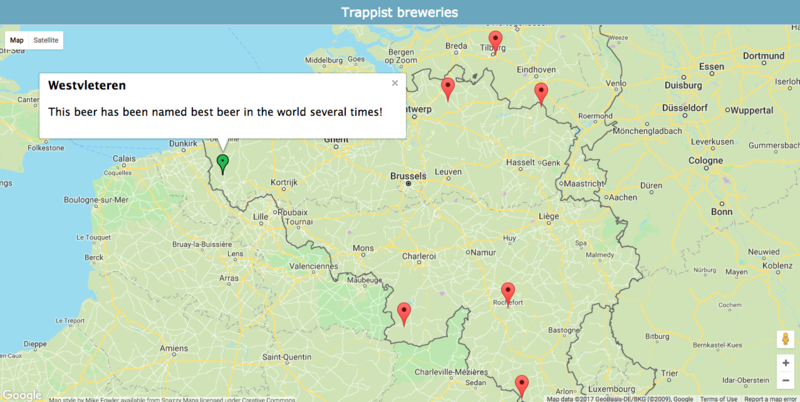 Create your own annotated maps using the Google Maps widget. All the features you’ve come to expect from Google Maps work, including street view and annotations. This is fun when you want to do a field trip. Draw route directions on the map students have to follow and add some points on the map. Here students have to look for something special. For example, students have to take a picture of a monument, answer a question,… You can add some text and images as well. This one is mostly used when creating an interactive book. Embed a PDF in your eBook. You can also embed a PDF in your webQuest, so you have all resources in one place. The Web Embed widget allows you to embed web pages into eBooks and WebQuests. 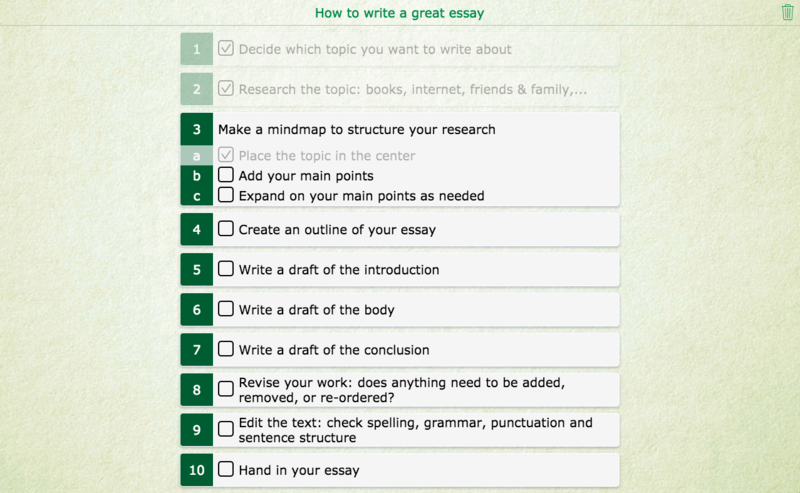 With this widget, you could give students extra information. Another option is to ask your students to find information themselves on given web pages. Embed relevant Wikipedia articles in your eBook or WebQuest to inform your students even more. This widget uses the iPad’s internet connection to get the latest version from the Wikipedia website. The checklist widgets is useful to provide step-by-step guides or to explain processes. A simple, yet flexible planner, ideally suited for kids with special needs.Just like the checklist, you can use the planner to provide step-by-step guides or to explain processes. Here, students can make their own planning. You could use it to prepare them for big tests. When are they going to learn what? Let students make a good planning on their own. You can also let them write down the different steps in processes. Find out if they remembered all the different steps. Quickly put together a survey or other data capture forms, to embed in ebooks or use stand-alone. There are many question types you can choose from, including multiple choice, text and Likert scale questions. Find out how your students feel about you as a teacher. Gather some feedback on tests they just made, about topics you’re going to teach, etc. So that was the complete widget library. I hope you found some inspiration in this post. The rest is up to you! 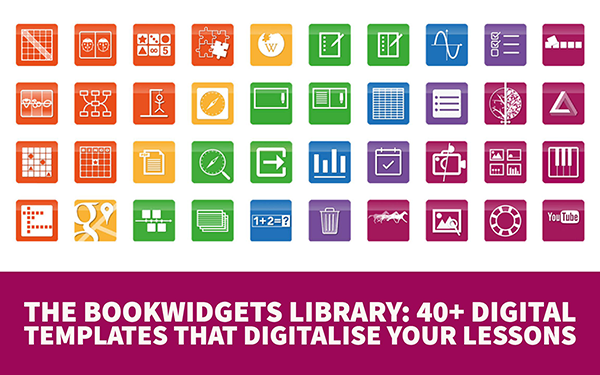 Share this post if you think BookWidgets would help other teachers with digitalising their lessons.